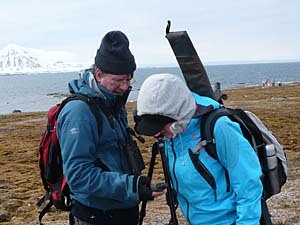 The day before yesterday we started mapping the locations of Barnacle Geese nests at the islands Storholmen and Prins Heinrich. 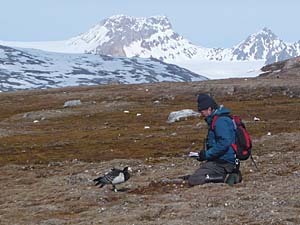 At the wintering sites in Scotland, Barnacle Geese mainly feed in large flocks at salt marshes and grasslands, but here pairs are mainly found in rocky areas. We localize the nests, read the letter conbinations from the colour rings of both parents, and monitor the progress of the reproductive attempt during the breeding season. 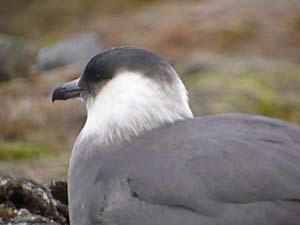 At the moment, most pairs have a nest with eggs. In some nests there are eggs of two different species. 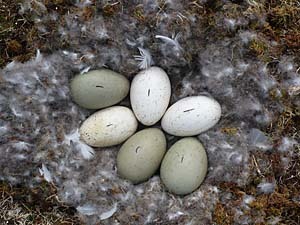 The white eggs are Barnacle Geese eggs, while the green eggs are from a Common Eider. 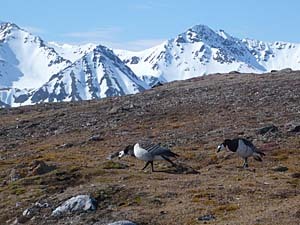 Possibly, this Barnacle Geese took over the nest of a Common Eider to obtain a good nesting location. We marked all eggs with a permanent marker to see if new eggs have appeared in a nest at a future nestcheck. Sometimes Barnacle Geese defend their nest vigorously when we come in close proximity. Some geese stand at a distance from their nest and make a lot of noise, but others try to attack us when doing the nestchecks. For the geese it is important to vigorously defend their nest, because predators are often in close proximity. 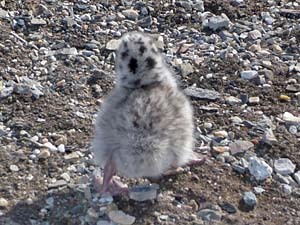 Glaucous Gulls, Arctic and Great Skuas search for nests to try to eat the eggs. 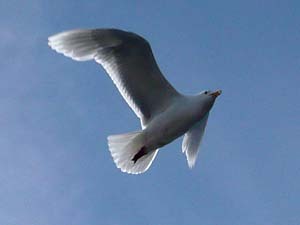 The Glaucous Gulls have chicks at the moment and also attack us when we come too close to their nests and chicks. 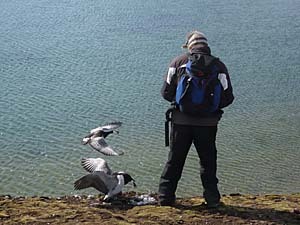 While waiting for the others to go back to Ny Alesund, we had some time to enjoy the view on the fjord. 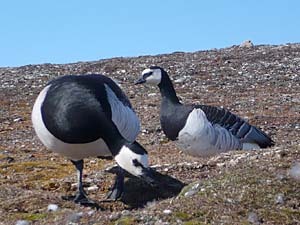 This page has been given the following keywords: [barnacle goose] [nest checking] You can click on each keyword to get an overview about related pages.